Congratulations on tying the knot! 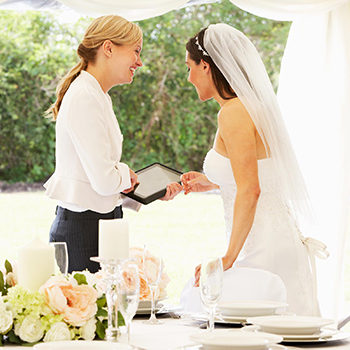 We are wedding experts that would love to help make your special day one you will never forget while making the job a little bit easier, no matter what stage of the process you’re in. 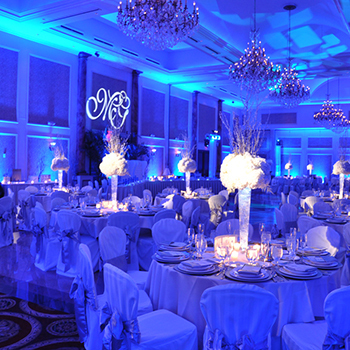 We can be a full-service event planning company or a vendor that can help and provide specialty lighting, vendors, productions, coordination, floral, rentals & more. With 15 years experience, we can guide you through the wedding process and assure your special day is filled with happiness & less stress! 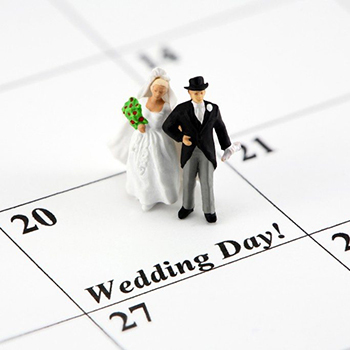 Don’t take on the responsibility of wedding planning alone. We are here for you! Get an experienced event planner who can help you plan your event from A – Z, including communication with all vendors, contracts, day of coordination & more. We offer a free discovery meeting to go over all your wants and needs. We pride ourselves in providing the best customer service to all our clients. Our priority is you & to be available whenever you need us. We offer wedding packages at amazing rates. from lighting, special effects, accessories, special add-ons & more. Best part, you can customize any package to fit your needs! Complete our quick form and a rep with contact you soon! Someone to assist you with your event every step of the way. If you need additional staff to help with your event, we have the perfect team. We make all the back end & payment processes a breeze for you. Find a better deal? We will match it! We wont let anything slip through the cracks, attention to detail is our forte. Venues, Transportation, Rentals, Production, Catering, Staffing, and more. There is nothing we can’t handle. Take a look at our options / services, complete this form and a rep will contact you soon!